TALLADEGA, Ala. – Sunday’s 1000Bulbs.com 500 at Talladega Superspeedway has prime placement in the NASCAR Playoffs, for the Monster Energy NASCAR Cup Series. For the 12 drivers still in championship contention, a victory will result in automatic advancement to the next round. Following next week’s (Oct. 21) event at Kansas Speedway, the contenders list will be trimmed to eight, after which three more races will produce a “Championship 4” showdown going into the season finale at Homestead-Miami Speedway. The 1000Bulbs.com 500 is set for 1 p.m. CDT start. (TV: NBC; Radio: MRN, Sirius XM NASCAR Radio). The Talladega tri-oval looms large – and not only because of its 2.66-mile layout and 33-degree high banks. That inherent intimidation is mitigated somewhat by Sunday being the Monster Energy Series’ second ‘Dega appearance this season, following April’s event. In terms of the playoffs, Talladega’s “wild card” reputation is enhanced by its sheer uniqueness in the 10-race lineup. It was prefaced by one road course and a one-mile concrete track (Dover). It will be followed by three 1.5-mile intermediate tracks, a half-mile and one 1-mile layout. By any measure, it looks like a puzzle that will be tough to solve – starting with Sunday. Reigning Monster Energy Series champion Martin Truex Jr. can relate. He has yet to win at Talladega, in Monster Energy Series competition, despite having won three times in the NASCAR Xfinity Series. “The rest of the schedule in general [looks promising],” said Truex, driver of the No. 78 Bass Pro Shops/5-hour ENERGY Toyota. “This track is really the last big question mark for us. There was one Monster Energy Series practice session on Saturday, topped by playoff contender Kevin Harvick (No. 4 Jimmy John’s Ford) with a fast lap of 204.227 mph. Qualifying for the 1000Bulbs.com 500 was set for 3:35 p.m. CDT Saturday. 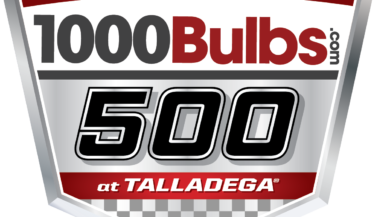 For information on the 1000Bulbs.com 500 and all Talladega Superspeedway events, visit www.talladegasuperspeedway.com or call 855-518-RACE (7223).